Berangkat dari nama yang Cukup Unik sebagai Gary Busey Amber Alert Tahun 2010, Sacramento, California High Talented ALTERBEAST Siap mengoyak Kejam Gendang telinga kita dengan suguhan Technical Brutal Death Metal Amazing-nya. meski ini masih menjadi Debutan pertamanya, Soal Kualitas dan Attitude bermusik mereka sama sekali jangan diremehkan ! This some nice brutal and technical death metal in there as well. dengan konsep yang menurut Gw adalah pertemuan antara Suffocation, Dying Fetus, The Black Dahlia Murder, dengan berapa sentuhan Kompleks Decrepit Birth cukup untuk menggambarkan Eksistensi band ini. Lagi2 memang, Unique Leader Records tidak pernah salah untuk merekrut band2 potensial dalam Roster-nya. This album has great instrumental work all around, and even has some cool sound effects at the beginning and ends of songs. Mungkin sejak ditengok karya mereka masih bersama Gary Busey Amber Alert dulu, Pihak Label sudah menaruh Interest dan harapan besar band ini memulai Konsep barunya yang jauh lebih menendang lagi, dan " Immortal " ini adalah Pukulan Mematikan pertama mereka yang harus elo luangkan waktu sejenak menikmati santapan sadis berkualitas ini. dengan menggandeng Enjiner Terkenal dengan Masterpiece brutal modern coolnya, Zack Ohren (Gitaris Band Heavy Metal Midnight Chaser .ed) telah memiliki Resep Khusus penciptaan Modern Death Metal Sound yang Brutal seperti yang sukses dikerjakannya bareng All Shall Perish, Brain Drill, Arkaik, Antagony, Carnifex, Cattle Decapitation, dan masih banyak lagi. dimulai dengan " Flesh Bound Text ", Alterbridge mengawali dengan sebuah epic intro dan kemudian membabi buta selanjutnya serangan beat cepat yang mengingatkan gw dengan keganasan Konsep The Black Dahlia Murder, yup, Karakter Vokalis Cam Rogers masih sangat mengingatkan gw dengan Trevor Strnad banget, dengan Komposisi Musik Teknikal Modern ala The Faceless yang bertemu dengan Decrepit Birth banyak menciptakan Progres dan Surprise Lick Part musik yang mengejutkan dengan sayatan Melodius epic solo Gitar banyak banget menghiasi partitur Bar Aransemen musikalnya. The drums in this album are one of the most intense parts in my opinion, the fills are just great, the blast beats are terrific and on point, and the drum work during the solos just sums it all up. The best part about the instrumentals is how well they mix together. Kehadiran Drummer Gabe Seeber dari The Kennedy Veil rupanya juga menjadi pencetus berubah Intens-nya musikalitas konsep Alterbeast pasca Reinkarnasi dari Gary Busey Amber Alert. Track Fantastis " Vile Remnants " banyak sekali menawarkan aransemen yang mencengangkan dengan Struktur musik Komplek dan Matematik ! The album keeps an extremely heavy tone and sound throughout and has a dark and brutal ambience. It's one of those albums that never stops hitting you hard and just keeps splitting your brain. The album keeps you guessing, from song to song you'll hear that each one is unique in its own way and stands out from every other song on the album. It's hard to get bored of this album while you listen to it because of what it utilizes, and how creative yet well produced it is. Meski serangan Berat Hyperblast Beat Intens tetap disegarkan dengan suguhan Part Solo Melodius yang membuai Imajinasi masih melalui Partitur Klasikal Konsep. bener2 suguhan Maksimal dengan Kuantitas Mega Dasyat adalah Trademark Memukau melalui Profesional Package yang cerdas ini ! yang sempat nge-fans banget dengan gaya The Black Dahlia Murder, The Faceless, Decrepit Birth bertemu dengan Kebiadaban Dying Fetus dan Suffocation, sangat Gw rekomendasikan Rilisan Fantastik " Immortal " untuk kalian Konsumsi. It's an album you can More simply go right to and know that when you put it on you'll be hearing the brutal death metal sound you want, while also getting to hear some of that melodic and technical stuff you love too. For a debut, this album couldn't have been much better. It surprised the hell out of me and I think that every death metal fan should give it at least one listen !!! 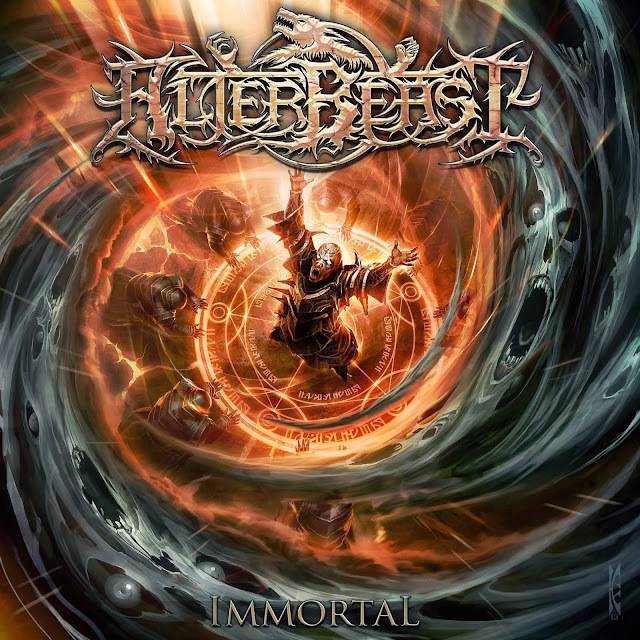 Departing from Simply Unique names as Gary Busey Amber Alert In 2010 , Sacramento , California High Talented ALTERBEAST Ready to rip the ear drum Cruel us with treats Technical Brutal Death Metal Amazing him . although this is still the first debutant , Quality and Attitude Problem their music at all should not be underestimated ! This some nice brutal and technical death metal in there as well . with the concept that by Gw is a meeting between Suffocation , Dying Fetus , The Black Dahlia Murder , with how touch Decrepit Birth complex enough to describe the band's existence . Lagi2 indeed , Unique Leader Records is never wrong to recruit potential band2 in its roster . This album has great instrumental work all around , and even has some cool sound effects at the beginning and ends of songs . Maybe since they are still worth a masterpiece with Gary Busey Amber Alert first , party labels had put great hopes Interest and the band embarked on a new concept that is much more kick again , and " Immortal " is the first Mortal Blow elo they should take a moment to enjoy fine dining this quality sadistic . Famous Engineer by cooperating with a brutal modern Masterpiece coolnya , Zack Ohren ( Guitarist Heavy Metal band Midnight Chaser . ed ) has had a Special Recipe creation Modern Brutal Death Metal Sound as successful doing with All Shall Perish , Brain Drill , archaic , Antagony , Carnifex , Cattle Decapitation , and much more . begins with " Flesh Bound Text " , Alterbridge started with an epic intro and then subsequently attack blindly fast beat with a ferocity reminiscent gw Concept The Black Dahlia Murder , yup , Character Vocalist Cam Rogers is still very reminiscent gw with Trevor Strnad really , with the composition Modern Technical musical style of The Faceless who met with many creating Decrepit Birth surprise Lick Part Progress and surprising music with melodic slice of epic guitar solos adorn so many musical scores Bar Lineup . The drums in this album are one of the most intense parts in my opinion , the fills are just great , the blast beats are terrific and on point , and the drum work during the solos just sums it all up . The best part about the instrumentals is how well they mix together . Drummer Gabe Seeber presence of The Kennedy Veil apparently also be a trigger to change its musicality Intense Alterbeast post Reincarnation concept of Gary Busey Amber Alert . 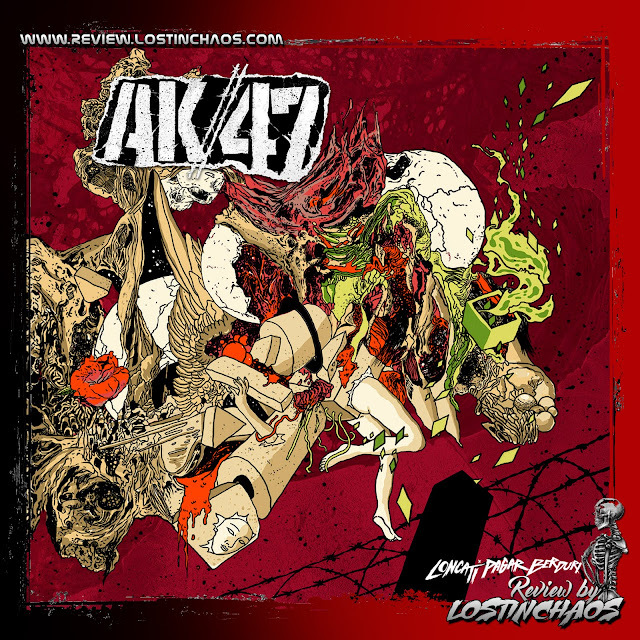 Fantastic track " Vile Remnants " a lot of offers stunning arrangement with complex musical structures and Math ! The album keeps an extremely heavy tone and sound throughout and has a dark and brutal ambience . It's one of those albums that never stops hitting you hard and just keeps splitting your brain . The album keeps you guessing , from song to song you'll hear that each one is unique in its own way and stands out from every other song on the album . It's hard to get bored of this album while you listen to it Because of what it Utilizes , and how creative yet it is well produced . Although attacks Hyperblast Beat Intense weight remained refreshed with Solo Part melodic treat that cradles Imagination is through Classical Scores Concept . bener2 treat the Maximum Quantity is the terrible Mega Trademark Professional Package Riveting through this smart ! nge - fans who had really the style of The Black Dahlia Murder , The Faceless , Decrepit Birth Savagery met with Dying Fetus and Suffocation , highly recommend Gw Fantastik release " Immortal " for your consumption . It's an album you can go right to More simply and know that when you put it on you'll be hearing the brutal death metal sound you want , while also getting to hear some of that melodic and technical stuff you love too . For a debut , this album could not have been much better . It surprised the hell out of me and I think that every death metal fan should give it at least one listen ! ! !